ABC's newest hit Glass House features our modern floral pattern dining chairs around their contemporary yet simple glass dining table. Interested in a set for yourself? 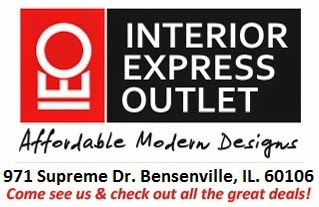 Give us a call, 630-238-6675, and we can help you place an order, or stop by our outlet store in Bensenville, IL to see them for yourself. Priced at $109, for local pickup, these affordable and comfortable contemporary dining chairs can be yours!